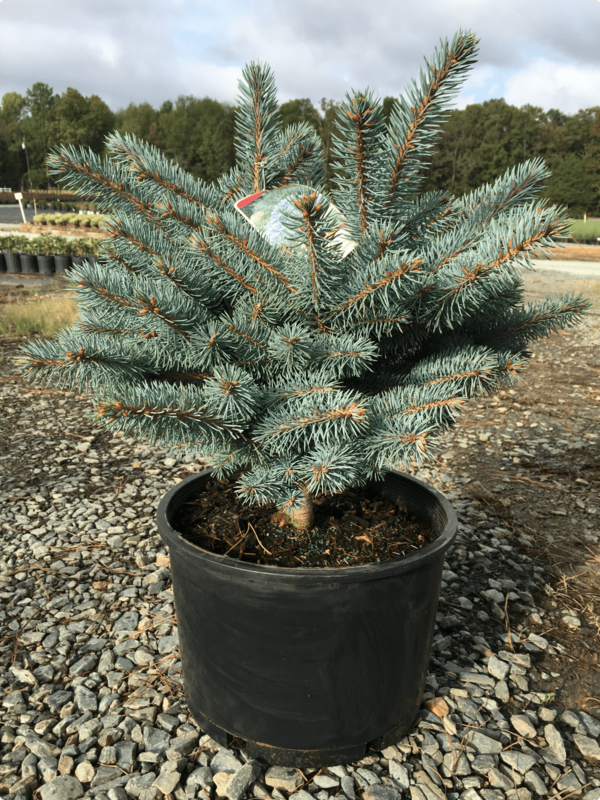 Blue, evergreen needles hold their color year round and the beautiful blue hue intensifies throughout the summer months. This dwarf shrub slowly reaches 3 – 5 feet in height and 5 – 6 feet in width. Prefers full to partial sun. Native.